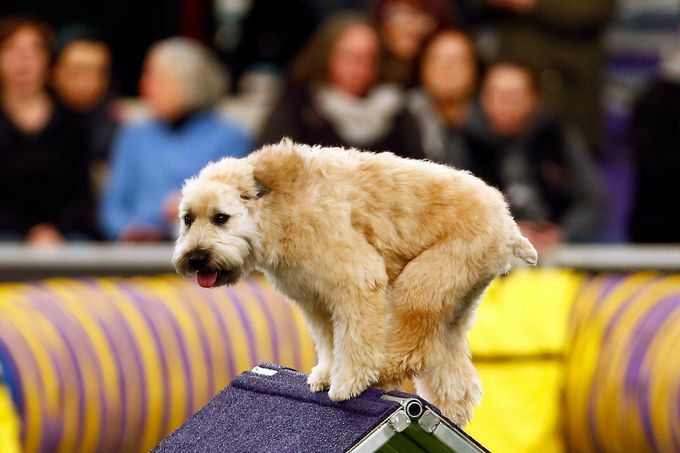 Yogi, a soft coated wheaten Terrier, is seen during masters agility preliminaries at the 143rd Annual Westminster Kennel Club Dog Show. 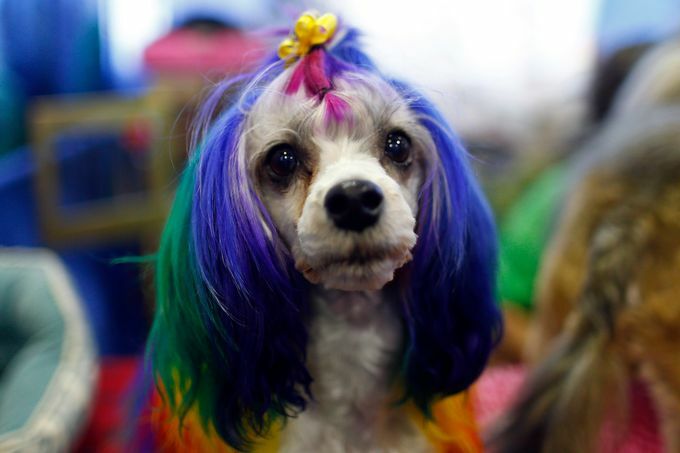 Hairy beauty Nadia , Lowchen, is seen wandering during the meet the breed. 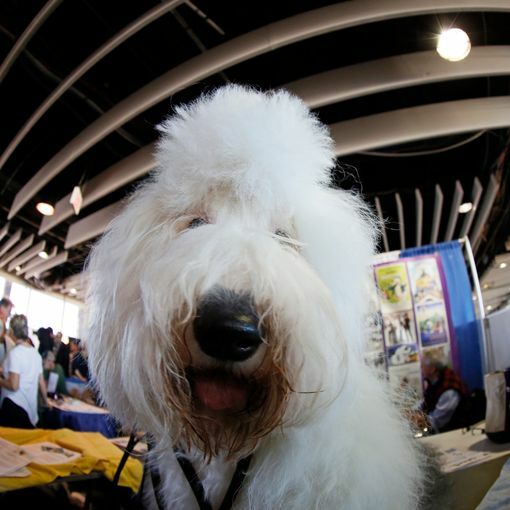 An old sheepdog during the meet the breeds. 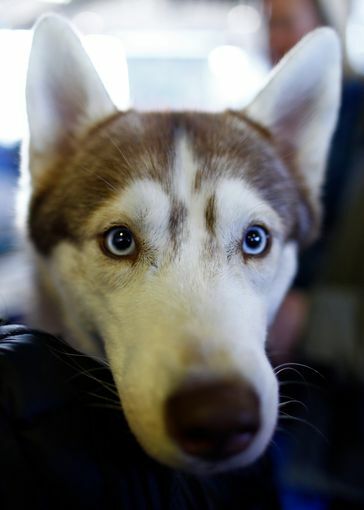 Siberian husky is seen during meet the breeds in 143rd Annual Westminster Kennel club Dog show, reported by USA Today.